Now that you're outside, it's time to start learning about things. You and your children will love identifying all the things you find! 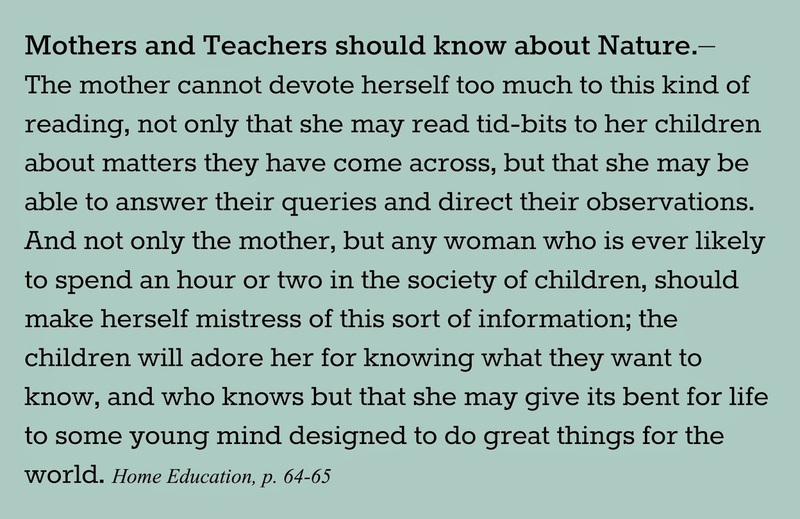 Please don't feel intimidated if you feel like you don't know anything about nature, or enough to teach your children. Everyone has to start somewhere. I thought I knew a fair bit, but honestly, it's so different in North Carolina than it was in Michigan that in many ways I started all over when we started nature study here. That's okay with me, because I love nature study and I love sharing it with my children. The most important thing is to learn as you go, and intentionally work on increasing your knowledge. You aren't expected to give lectures when you go outside, I promise! You simply want to be able to answer questions from your children, and perhaps direct them if you're working on studying something specific. For example, if you happened to want to start with birds, you might see a robin hopping along looking for worms. If your children are focused on something else, you might say, "Look over there! What kind of bird do you think that is?" and go from there. There are MANY great natural history books out there that will teach you about wildlife from a non-scientific perspective, and I highly recommend reading books like that. I will make some suggestions in a future post. For today, though, I'd like to share some basic resources to get your nature studies off to a good start. 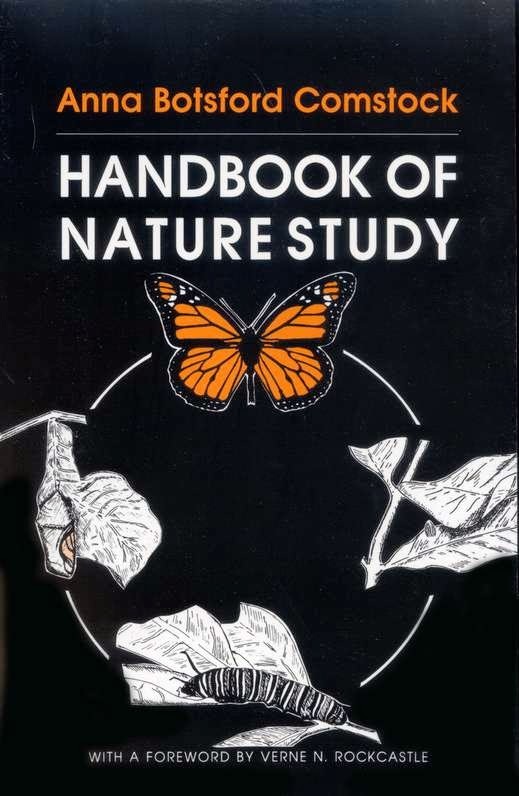 The first resource I'd like to recommend to you is the Handbook of Nature Study by Anna Botsford Comstock. This is a huge book. It's really thick and heavy, and it's not one that you are going to carry around with you. However, it is full of amazing information, and is a wonderful guide for you, the teacher. There is also the Handbook of Nature Study blog, home of the Outdoor Hour Challenge. Barb McCoy, the author, has graduated four children from her homeschool, and started the blog as a way to share their nature study adventures. 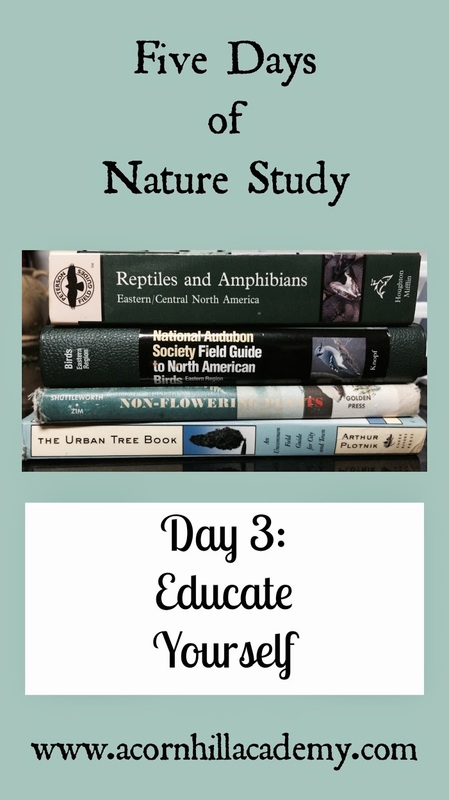 Her blog is a great place to learn how to use your ginormous Handbook of Nature Study, and the Outdoor Hour challenges are wonderful! Here is her Getting Started page. I also hope you'll consider investing in some field guides. These can get expensive, but they are a worthwhile investment. There are online resources for identifying things, but field guides are invaluable. You can take them with you much more easily than you can tote a computer, and believe me, the last thing you want to do when you're outside with your kids is whip out your phone (unless it's to snap a quick picture). Keep an eye out at thrift stores, because you can sometimes find them there. In our local nature club, my friend Cheri recommended two books for beginning nature study. We live in North Carolina, so the first book she recommended is the National Audubon Society Regional Guide to the Southeastern States. This book covers the states of Alabama, Arkansas, Georgia, Kentucky, Louisiana, Mississippi, and North Carolina. You will find information on many topics in this book, including birds, trees, wildflowers, insects, reptiles, and more. It's a little bit about a lot of things, and is the perfect book to get your nature studies off the ground. These would also be great books to take along when traveling. 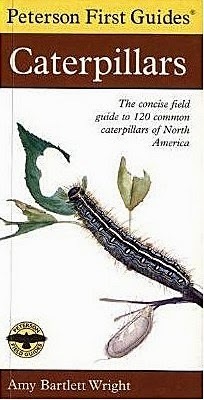 The other book she recommended to us is the Peterson First Guide to Caterpillars of North America. You will most likely find caterpillars when you're outside, and it's helpful to be able to figure out what they are. That's it! That's really all you need to get you started. We do have some other fun things we like to have around, and I thought I'd share them with you. Small magnifying lenses are great for looking at things that don't move much, like lichens and tree bark and leaves. You might enjoy having a magnifying jar. You can capture insects or other small things in them, and the magnifying lid helps you see them in more detail. I will warn you that house centipedes look like something out of a horror movie when magnified. One last thing we have is a "critter keeper." If you find something you'd like to take home and observe for a few hours, or even a day or two, it's nice to have one of these handy. We've kept a toad in ours, and various insects. When we found our praying mantis, she got to hang out in there until we got her permanent residence set up. I hope you're enjoying our brief foray into the wonderful world of nature study! I'm trying not to overwhelm you with too much information. I will have more resources to share at a later date.